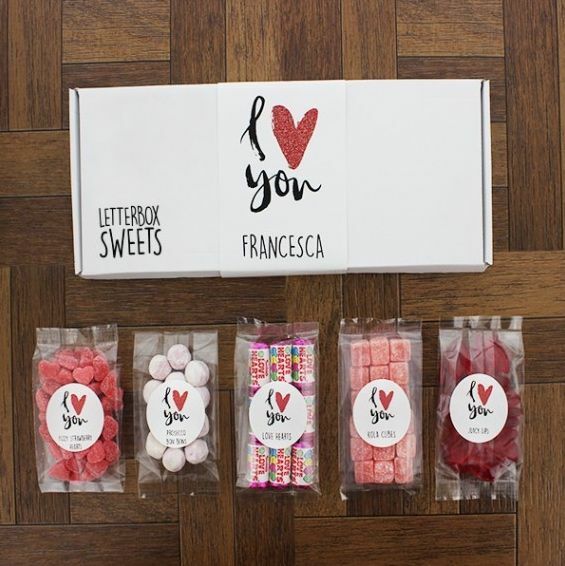 5 x bags of our favourite valentine’s retro sweets posted directly through your letterbox! Contents: 80g Prosecco Bon Bons, 80g Strawberry Hearts, 80g Love Heart Mini Rolls, 80g Juicy Lips, 80g Kola Cubes. • Personalised with a name – Maximum of 12 characters per name. 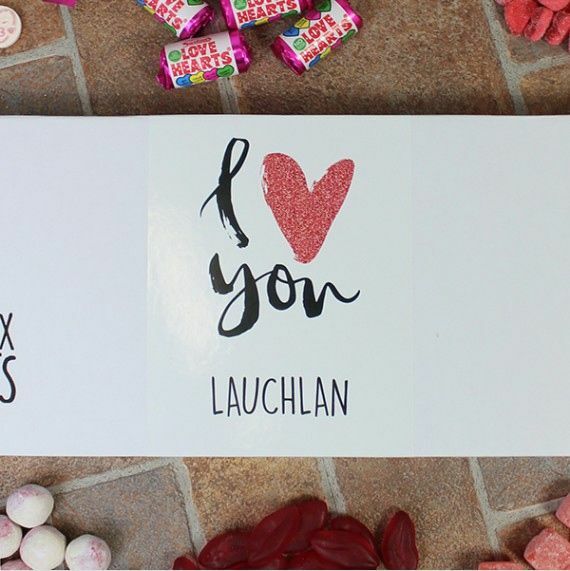 • Personalised Postal Box Measuring 35 x 13.5 x 2cm. • Filled with 5 delicious sweet bags. 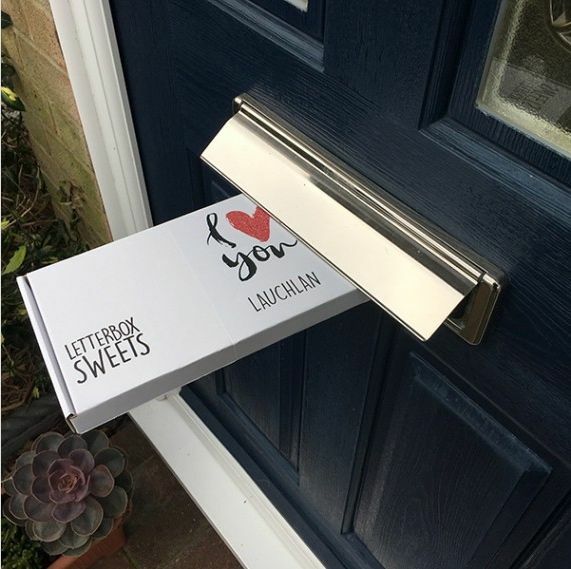 • Fits through their letterbox. Allergens: please see ingredients in CAPITALS. Glucose syrup, sugar, beef and pork gelatine, acid: citric acid, lactic acid; flavourings, gelling agent: pectins; flavourings; fruit and vegetable concentrates )radish, carrot, blackcurrant), colours: E120, E171. Sugar, Acidity Regulators: Malic Acid; Stearic Acid, Sodium Bicarbonate, Modified Starch, Magnesium Stearate, Anti-caking Agent: Magnesium Carbonate; Flavourings, Colours: Anthocyanin, Beetroot Red, Copper Chlorophyllin, Curcumin, Lutein, Paprika Extract. Glucose syrup, sugar, water, pork gelatine, maltodextrin, acid: E330; flavouring, vegetable concentrate: black carrot; vegetable oil (coconut), glazing agents: beeswax, carnauba wax. Sugar, glucose syrup, acid: citric acid; natural flavouring, colours: E104, E129. Warning. E104 and E129 may have adverse effect on the activity and attention in children. May also contain soya and milk.